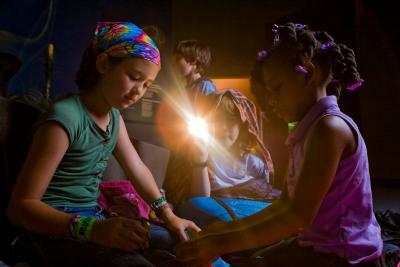 During MPM's exciting Overnights, you'll experience the Museum under the cover of darkness. Get a deeper look into one of the Museum's great exhibits or the theme of the evening through hands-on activities with MPM Educators. Catch a thrilling show in our six-story Dome Theater, then guide your group through exhibits on a flashlight exploration. Finally, you'll be ready to "bed-down" for a night of rest in select exhibit areas. For scout groups and families with children ages 6-12. Overnights begin at 6 p.m. on Friday evening and last until 8 a.m. the following morning. The reservation process starts by completing the Overnight Request Form. You will want to have all guest information prior to filling out this form. After receiving your approval email, please call Reservations at 414-278-2728. Sleepover reservations must be made at least two weeks in advance of sleepover. Special payment arrangements may be made for groups of 10 or more. Payments are nonrefundable and nonexchangable. Overnight tickets are nonrefundable, nonexchangeable. Overnight guests are responsible for maintaining the chaperone ratio of one adult for every five children and for ensuring the children in their group meet the age range policy of 6-12. We cannot make exceptions to our age range policy. All Overnights include Museum exploration, hands-on activities, a Dome Theater show, a self-guided flashlight exploration of the Third Floor, light breakfast, and all-day Museum admission for Saturday. 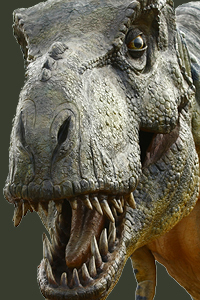 Get ready to take a giant dinosaur-sized step back in time! At our dinosaur-themed overnight, you'll have the chance to handle real dinosaur bones, learn about the work of MPM's paleontologists, make something to take home, and explore the Museum after-hours. Join us for a great night of unique experiences and fun learning! Think you know all there is to know about mummies? 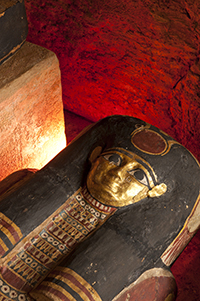 Unwind the mysteries of mummies from around the world at this exciting overnight! Learn how to make your own mummy, the secrets behind why mummies were made, and stories of the people who made them. Are you ready to explore the secrets of your own backyard? 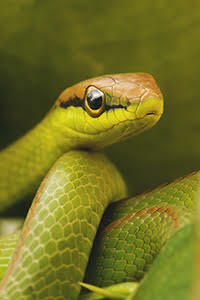 There are more to the animals and plants lurking around your neighborhood than meets the eye. Through the course of the event, there will be biology-themed, hands-on activities and a chance to experience our traveling exhibit, The Power of Poison. Come enjoy an evening of discovery, adventure, and learning!